Buying a commercial property is similar to purchasing a residential property, but there are other things you’ll want to consider and invest in before moving forward. After all, there are plenty of commercial real estate mistakes that could be made, and you want to avoid these at all costs to ensure you’re getting the most bang for your buck. Whether you’re looking for an investment commercial property or you need one to create a brick and mortar shop for your own company, here are a few things you’ll want to consider when purchasing commercial property. Is this a stable investment? Before you purchase a commercial property, be sure to ask yourself if it’s a stable investment. For instance, if you’re going to use the property for your own business, do you have enough generated income and a solid plan for growth in the future? If you hesitate at all with this question, then it may not be the right time for you to put more money into your business, especially a lot of money that could depreciate in value. However, if you’re purchasing it for your business and you have a solid path for success, then maybe this investment will be worth it. It’s not likely you’re going to come across a commercial property that is ready for you to slap your logo on and start operation. Instead, you need to ask yourself what type of renovations are needed, and then you need to factor in the cost of this. Hiring a general contractor to give you an estimate is a great way to see what other costs will be associated with your purchase. In addition, you may want to call in specific professionals. For instance, according to an experienced plumbing service, “A professional who actively works in one field will provide a better overview of the services needed. A specialized contractor, for instance can provide a more in-depth analysis of a commercial property’s water and plumbing needs more so than a general contractor could.” Getting more eyes on the property to determine the renovation costs is ideal. Do you really want to put personal assets on the line? If this is your first commercial real estate purchase, you’ll need to prove you can afford it. This usually means putting up your own assets as collateral, such as your house, your car, or any retirement funds you may have hidden away. Should anything go wrong with your property, such as your business goes under or you can’t find someone to lease it, then your assets will be used to pay off the debtor, which means you could find yourself out of office and home. If you’re confident in the investment, then moving forward may be a good idea, but if not, then you may want to hold off. Can you get approved for financing? Because the cost of commercial properties are higher and tend to come with additional rules and regulations, the financing is trickier and requires a lot more paperwork and an in-depth look at your background. However, there are plenty of resources out there willing to help you secure financing, such as the Small Business Administration. Although there are certain requirements, using tools like this can get you approved for a loan easier than going through a traditional banker or broker. Do you have the history? The last thing you want to do is purchase a property and find out it’s a complete money pit or not appropriate for what you wanted to use it for. In order to avoid this, it’s important you get the entire history of the property. Your real estate agent should be able to dig up information on the property, such as previous owners and selling prices over the years. You can even take the address to your local government agency to find out if any permits were pulled on the property or if there are any liens against it. The more you know about the property before you sign any papers, the better overall choice you’ll make. 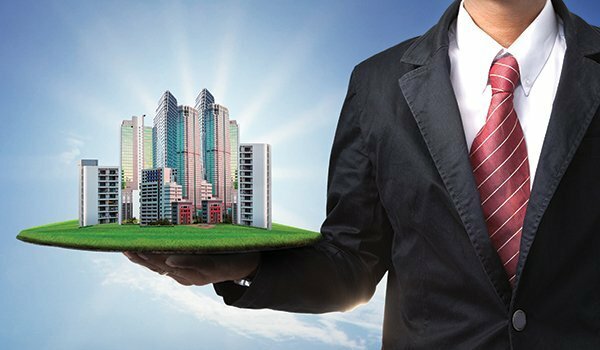 Buying a commercial property is a very big investment that requires a lot of thinking and planning on your end. Be sure to use the assistance of a trusted real estate agent to steer you in the right direction based on what you’re looking for and what your overall budget may be. In the end, be sure you don’t make any irrational decisions and feel confident in your answers to the above questions.